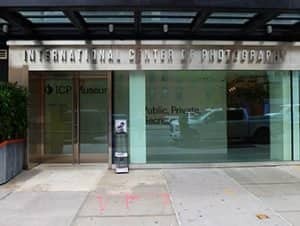 The International Center of Photography in New York (ICP) consists of a museum, a school and a research center that all revolve around the same thing: photography. The center is located right in the heart of Nolita in Lower Manhattan. It was founded in 1974 by Cornell Capa, brother of famous photographer Robert Capa. Nowadays, it’s the world’s leading institution dedicated to the practice and understanding of photography and the reproduced image in all forms. 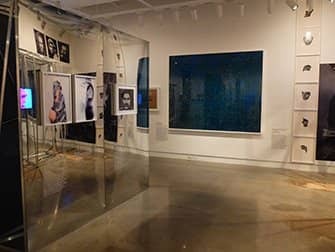 With 500 solo and group exhibitions since its opening, ICP has already managed to showcase the work of over 3,000 photographers and other artists. Although you might associate these numbers with a big museum, ICP is not. Compared to other museums in New York, the size is pretty modest. Or, as some would say: small even. Though, their permanent collection contains over 100,000 photographs, they tend to show only 1 or 2 smaller exhibitions at the same time. In opening the museum, Cornell Capa’s purpose was to keep the legacy of ‘Concerned Photography’ alive, in honour of his brother Robert and colleagues, who all died in the 1950s. Like Werner Bischof, Chim (David Seymour) and Dan Weiner. Their work plays an important role in the museum’s permanent collection – next to works by W. Eugene Smith, Henri Cartier-Bresson, James VanDerZee and Lisette Model, to name a few. Although the ICP is known for its twentieth century American and European documentary photography, the museum also aims at exploring visual culture as a whole with thought-provoking exhibitions. 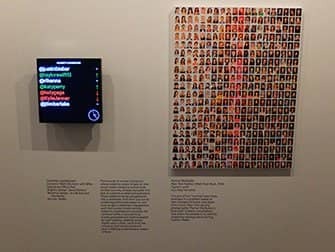 This often creates a surprising juxtaposition with the traditional forms of photography displayed and video installations, or social media art. Depending on the exhibitions presented, you’ll typically need 45 minutes to an hour to explore the museum. You could easily combine it with a visit to the New Museum close by. Or you could take a break in the museum café, Maman, which serves a variety of quiche, salads and sandwiches while enjoying free wifi. The artist-run bookstore is rather small but has books that complement the museum’s exhibitions. Tickets for the International Center of Photography are included in the New York Pass.